Ving Rhames is no stranger to racism. The “Mission: Impossible – Fallout” star said on a radio show that he was held at gunpoint by police in his home after a neighbor called saying that a “large black man” broke into the house. Rhames shared a story on Sirius XM’s Clay Cane show Friday in response to a question about his experience with racism. He said that while in his home one afternoon in Santa Monica, California, police knocked on his door and pointed a gun at him until the chief of police recognized Rhames and told officers to stand down. Santa Monica p0lice did not respond to a request for comment at time of writing. “This is the God’s honest truth. 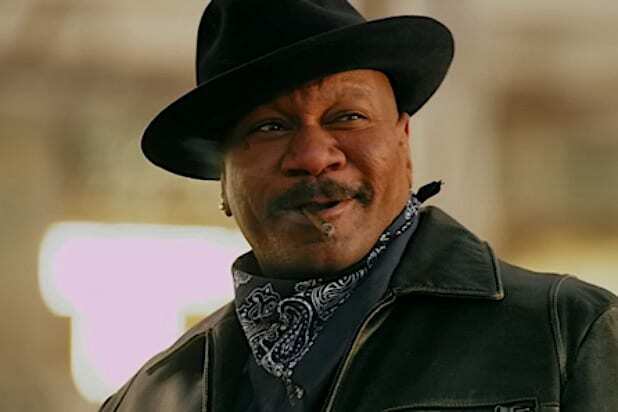 This happened this year,” Rhames said. “I open the door and there is a red dot pointed at my face from a 9-mm, and they say ‘put up your hands,’ literally.” Rhames said. Rhames said he was wearing nothing but basketball shorts when he stepped outside and was surrounded by several officers and a police dog. Thankfully, Rhames said the chief of police recognized him, not because of his fame, but because their children both play on the same sports team. He then said he spoke with the officers, who informed him that a neighbor had called reporting a break-in by a “large black man.” They provided him with the address of the neighbor, and Rhames went over to the house with an officer, but he said that when he confronted the neighbor, they denied it. Rhames was also concerned what would’ve happened if his young son had answered the door instead of him. “What if it was my son and he had a video game remote or something and you thought it was a gun. I don’t know, just like Trayvon [Martin] had a bag of Skittles,” Rhames said.